All types of gates in stock and made to measure in softwood and hardwood. 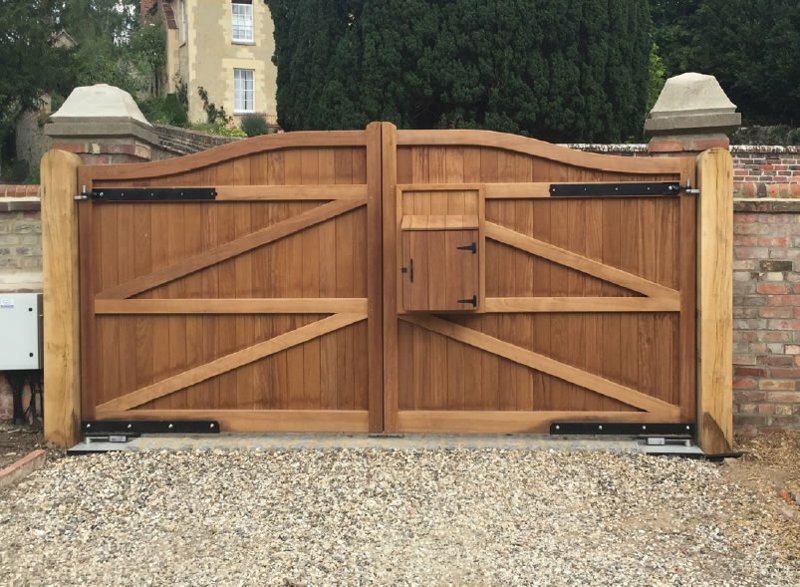 Please note all of our gates are hand made using concealed mortice and tennon joints with wooden dowels on the entrance gates and metal star dowels on the field gates. The softwood gates are made from sustainable joinery grade redwood and are pressure treated with Tanalith ‘E’ Naturewood. Our hardwood gates are made from sustainable Iroko & Sapele. As a rule of thumb the solid gates are made from Iroko and the five bar & turned heel gates are made from Sapele. Please feel free to let us have a drawing or a photo of any gate that isn’t in our brochure, we can make any style or design we are given !